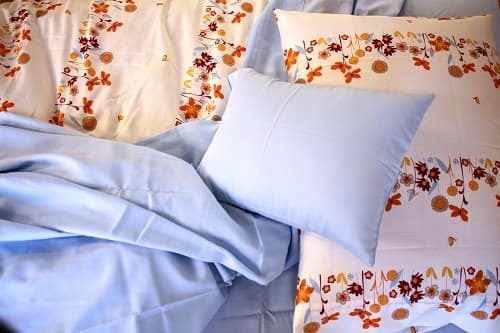 White Lotus Home, an industry leader in handcrafted, certified non-toxic mattresses, pillows and other bedding for adults and babies was founded in 1981, and is based in New Brunswick, NJ. Marlon joined White Lotus Home as General Manager in 2004 and purchased the company the following year. He has expanded White Lotus’s line of handcrafted products, free of formaldehyde, dyes, fragrances and other chemicals. White Lotus Home is dedicated to educating consumers about indoor air quality and toxic chemicals in mattress foams, glues, and fire retardant substances. Marlon was born in the village of Sullana, Peru, where sustainability is a way of life. At age 7, the Pando family moved to Brooklyn, N.Y. His mother and father soon started their own business in handcrafted neckties. As a teenager, Marlon joined the family business. In 1992, the Pando family moved to Miami, where they continued to operate their neckwear business. It was in the family business that Marlon began his manufacturing management career, managing production of the neckties for seven years. Marlon graduated in 2001 with a Bachelor’s degree in Business Administration from Metropolitan College of New York, where he also earned his Master’s of Business Administration in 2003. White Lotus Home continues in the family tradition with Marlon's sister and his new wife as part of the White Lotus Home team. To quote Marlon, "As a company, we are devoted to taking care of our customers, our employees, and our planet. We are a business with skilled and creative artisans who are committed to their craft, and a sales staff dedicated to exceptional service. We believe that we can make a difference in the green and natural bedding industry by setting an example for others. We believe that quality and fair value are more important than low prices and a quick profit. We are opposed to the exploitation of the planet and all its inhabitants. Above all, our people, products, and business practices are socially, politically and environmentally responsible. We wish all homes could be White Lotus Homes! "